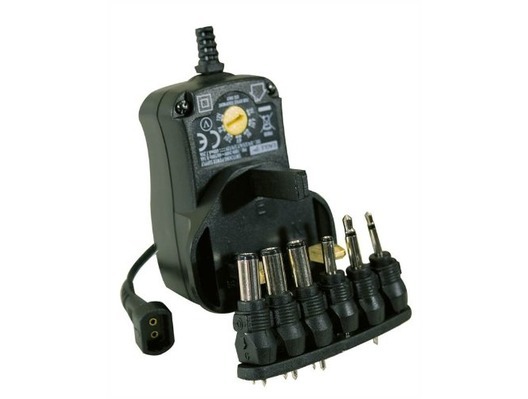 600 mA Regulated Switched Mode Plug-in Power Supply with 6 Output Voltages and 6 DC Interchangeable Plugs. Plug-in regulated power supply with 3-12 V DC switchable output. LED indicator and selectable polarity. Comes complete with 6 DC adaptor plugs. Features include, IC regulated DC output, short circuit protection and automatic overload cut off. Please read the following instructions step-by-step before using the adaptor. VOLTAGE: Set voltage selector switch in accordance with the voltage requirement of your electronic unit. MILLIAMP (mA): Verify the mA requirement of the unit and determine if it can be used with a 100mA power supply. POLARITY: Determine the polarity (+ or -) of the unit and set the polarity according to the polarity of the electronic unit. The polarity can be found on the unit or in the user manual. NOTE: The positive setting (Negative ground) is the most common requirement. 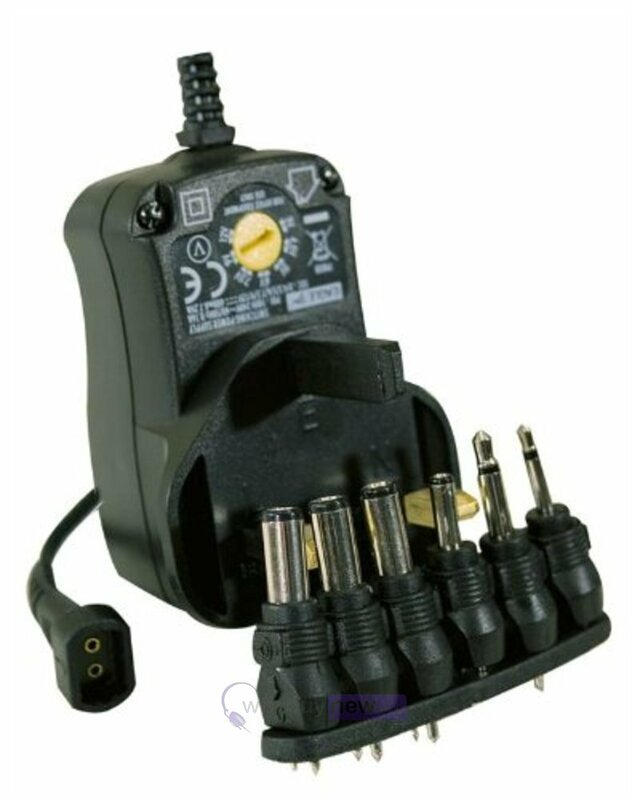 OUTPUT PLUG: Select a proper output plug and plug it into the jack on the electrical appliance. PLUG IN: Attached the adaptor into a 100-240VAC mains socket. The LED lights indicating that the unit is on. IMPORTANT: If unit does not operate properly, check the polarity setting IMMEDIATELY. Remove the unit when not in use. Product arrived extremely quickly and was exactly as required. Will use this company again.